The Ulva Ferry area stretches from Kellan to Torloisk on the Isle of Mull, encompassing the Isles of Ulva and Gometra. It is National Scenic Area. After the Ulva Ferry primary school was threatened with closure in 2010, Ulva School Community Association (USCA) ran a successful campaign to sustain their area and keep the school open. Through extensive community consultation led by USCA and Local Development Officers, affordable housing was identified as a top priority for residents in the area which led to a housing project to secure local families. After four years of hard work and fundraising, this joint venture between the Ulva School Community Association (USCA) and Mull and Iona Community Trust (MICT) was fully funded and the contract was awarded to local firm Norman MacDonald Builders. The Housing Project had been financed via grants from Argyll & Bute Council, the Quaker Housing Trust, the Trusthouse Charitable Foundation, and USCA, along with over £20,000 raised from local donations. Additional finance from the Quaker Housing Trust and a grant from the Scottish Government’s new Rural Housing Fund completed the funding package. 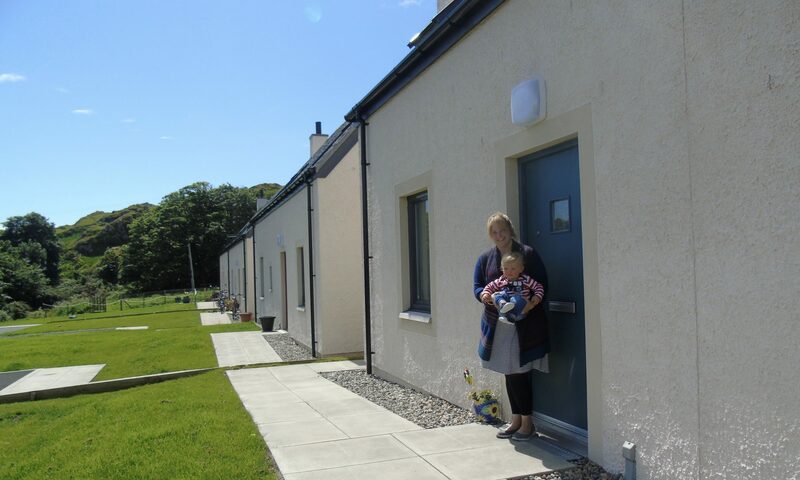 The Scottish Government grant of £27,384.30 was the first to be awarded by the new Rural Housing Fund, launched to increase the supply of affordable housing in rural Scotland. The high-quality, three-bedroom homes were built right next to Ulva Primary School, and were offered for long-term let to local families for £443 pcm on secure tenancies, and thanks to local firm Thorne Wyness Architects’ low energy design, the heating bills are around £350 per YEAR. Iain Thomson, convenor of USCA, gave the following comment: “The latest news about the grant from the Rural Housing Fund is a fantastic boost to the project. So much time and work has been put in and many challenges overcome. It is the result of a community pulling together in th e face of school closure and keeping hope alive for the future of the area I look forward to see construction begin soon!”. 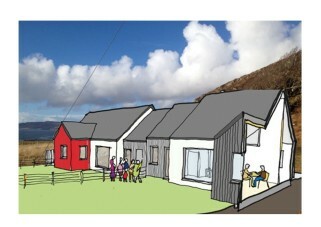 Helen MacDonald, Housing Project Manager, added “we are delighted to be starting work on site this summer, and I would like to thank everyone who has supported this project over the years; £22,500 in donations is testament to the importance of these houses to so many people, and the difference they will make to the Ulva Ferry community”. 1 & 2 Sealladh Loch Tuath were officially opened on Saturday 18th November 2017 and are now home to two families which have contributed 6 children to the local primary school role. Our Island Home undertook a Housing Needs Survey in summer 2015 for the Ulva Ferry area and the report is available here. Ulva Ferry LDO is on Facebook and Twitter.